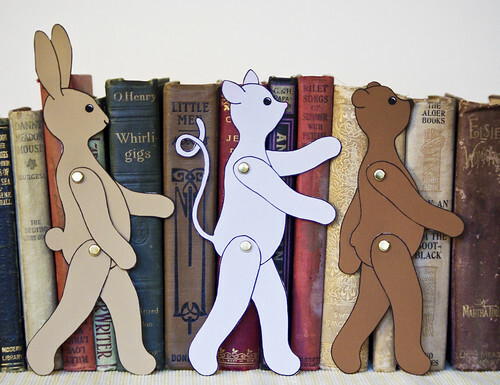 New cutie cut-out animals for my shop! I get a kick out of making them all walk in a line, pointy little noses up, round little bellies sticking out. Arms and legs are jointed with paper fasteners (is that what they are actually called? how dull) and can swing back and forth, so these lucky creatures can not only walk, but sit and even dance!